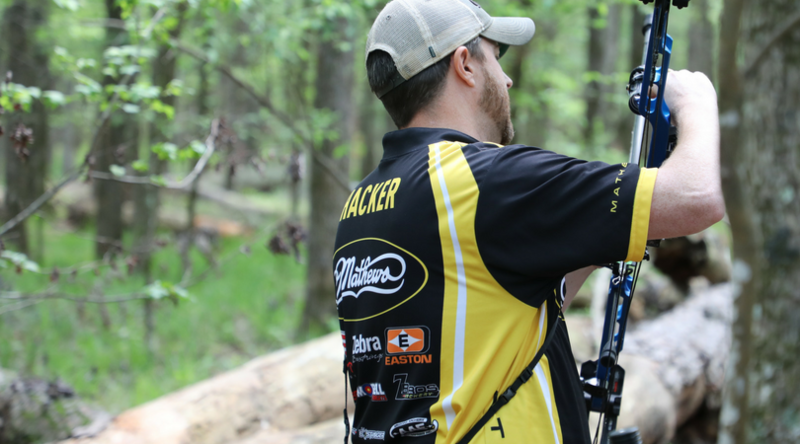 The third leg of the IBO (International Bowhunting Organization) Triple Crown took place over the weekend in Pennsylvania and Scott Archery’s Chris Hacker, shooting the new for 2018 Scott Ascent, ended in second place. Hacker shot a clean 208 round on Saturday to begin the tournament and competed through blistering temperatures to maintain his second-place seed heading into the second day of shooting. On Sunday, he finished with a 208 and 10 bonus rings to round out the tournament in second place. The new Scott Ascent is a revolutionary back tension release with an aggressive design. It sits comfortably in the shooter’s hand and provides micro adjustability to both travel and click distance to deliver custom-built performance and podium-finishing results. The Ascent is available in three-finger medium, three-finger large, and four-finger large configurations at Scott dealers world-wide and here at www.scottarchery.com. Hacker and the rest of team Scott Archery will head to Alabama in early August for the next ASA (Archery Shooters Association) tournament followed immediately by IBO Worlds in West Virginia.